This week, we learn in Parashat Masei that the daughters of Tzelophechad had to agree to marry only within their own tribe, so that the land they inherited from their father would not pass over to a different tribe. Fancy that, discrimination directed at fellow Jews. And is it not also discrimination when the Torah forbids a Cohen to marry a divorcee or convert, or when it forbids intermarriage between Jews and gentiles? The same Torah also told us to discriminate with regard to who may be allowed to live here among us and under what circumstances, and that's just the beginning. Torah Judaism requires us to discriminate in accordance with its laws and guidelines. If the humanistic laws of the goyim want to make it into a crime, that has nothing to do with truth or reality, and it certainly has nothing to do with us! The ruling Likud party is reportedly discussing removing a controversial clause in the nation-state bill that is seen as opening the door to the establishment of Jewish-only communities in Israel. Politicians, legal advisers and others have warned that the clause in the so-called Jewish State bill is discriminatory and could cast a dark shadow over Israel in the international arena. ...I said to myself, "Of course! What else? This is what a Bibi Netanyahu government does." 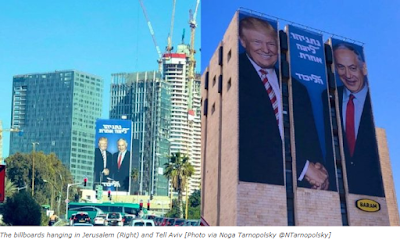 It pretends to make a bold "right-wing" move and then immediately retreats from it and the people of Israel wind up worse off than they were before it happened. But setting that aside for the moment, what about the expressed fear that such a law will "draw international criticism?" Why the heck should we care? We get international criticism just for breathing! The Arabs don't care, even though the Eurotrash hypocrites never bother to criticize them for creating Judenrein countries and for imposing the death penalty on an Arab who sells land to a Jew - even in the Land of Israel! 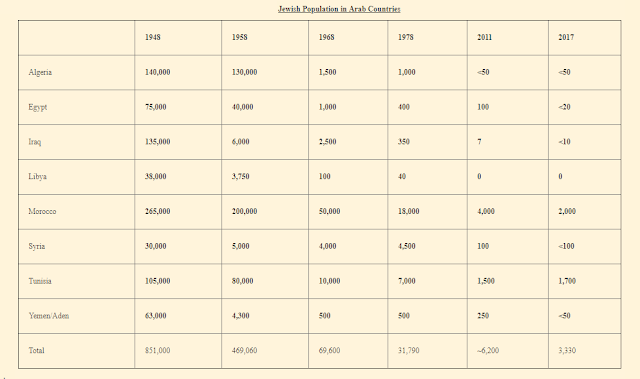 Everywhere the Jews live, the Arabs must be allowed to live also, but Arabs can live in Jew-free zones any place they inhabit, including Eretz Yisrael. and no one but no one is going to call them on it. Who is going to call them out on their discrimination? Oh, well, the Jews don't want to live with the Arabs, they'll say. It's their choice after all. But, it's not that they don't want to live with Arabs as much as they don't want to live with thieves and murderers!! And did you ever hear anyone ask any 'Palestinian' representative, should Palestine ever be established (God forbid! ), why the Jews now living there would have to be "evacuated" rather than being given the choice to remain in place? Of course not, because it is a given that the Arabs will never stand for Jews living among them, but we must be forced to allow them to live among us! It's also a given that no Jews are going to lobby for this option because, very simply, they would murder us in our beds if we tried. Why do the Ashkenazi elite always try to force Christian/Western European 'enlightenment' on us when we actually live in the Islamic Arab East? We can't live among Arabs and play by European rules unless we truly wish to commit national suicide. Anyway, the time is long past when we should have been living true to our own ideals and our own (Torah) laws rather than allowing ourselves to be forced into the false paradigms of other peoples' demands and expectations. In Judaism, discrimination is not a crime, it is mandatory in many aspects of our lives. We have to grow up and stop letting anyone but HKB"H tell us how we can live in our own land. Now, go out and discriminate in accordance with the Torah. It's not a crime, it's a mitzvah! Now only if the concerned would take heed..(meaning the Jews, and the Jewsish Government). Isn't it becoming more obvious to everyone how Israel is pushing this agenda (together with the rest of the 'globe') of deJudaizing Israel? They are trying, slowly but surely, and everyday it's not as slow as the day before, to completely eradicate any vestige of Torah, our heritage and Judaism, c'v. The pm and the G-Dless knesset are doing what they're told because they are all in on it. The silver lining is that this is a sure sign that the end is near, but the beginning of our Redemption is almost here. Praying that the real Jews wake up already! Ultimately, it is not discrimination against gentiles, because gentiles *can* convert under halachah. You wrote, "...it's not that they don't want to live with Arabs as much as they don't want to live with thieves and murderers!!" You betcha, with an extra exclamation point from me! I would add, I don't accept the burden that the world would impose on me of having to decide which ones won't murder me and which ones will. I stay away from them all, as much as I possibly can. I just don't show fear when I must deal with them; like dogs, they can sense it. We can see clearly from here that all the nations' PC rules are meant to exclude us, even when not living here; so why bother trying to appease the unappeasable? H' makes these rules for our benefit, so we can see better how bad things really are, and follow Him. L'havdil, even the nonobservant ought to at least take the example of Ayn Rand's protagonist characters in her famous novel Atlas Shrugged when they suddenly all went to their secret hideaway in the Rocky Mountains (or somewhere close to there, I don't exactly remember) and waited there for the world to disintegrate. Tho she was an avowed atheist, I find it funny that her solution is closer to Geula than she might have realized. Israel is (or should be) our hideaway! Absolutely correct, Commandments (mitzvot) from our Torah are from H' and it is mandatory for the Jewish nation living in the Jewish Land that H' gave us is to obey the mitzvot. Purposely going against these commandments to appease and be like the nations is the greatest chilul H'. 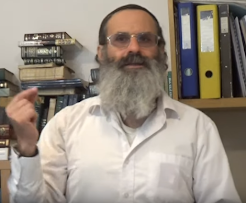 To have the zechut to live in Eretz HaKodesh and to go against the very basic tenets of our Torah is like, c'v, spitting in the Creator's face, so to speak. The consequences that will ensue going against our Torah Laws, on purpose, is unthinkable. The leadership in the knesset, the supreme court, the IDF has gone rogue, against the G-D of Israel, Woe unto us; may H' have mercy!